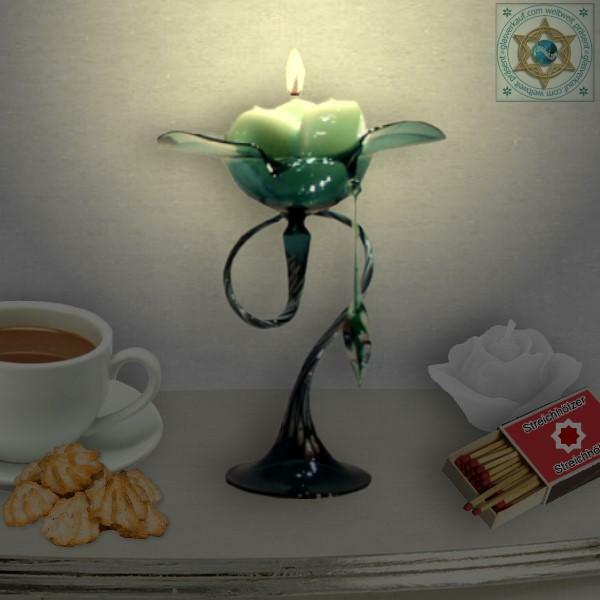 Our hand-made glass products candleholder on curved glass foot with leaf made of Lauschaer glass are very decorative light dispenser. 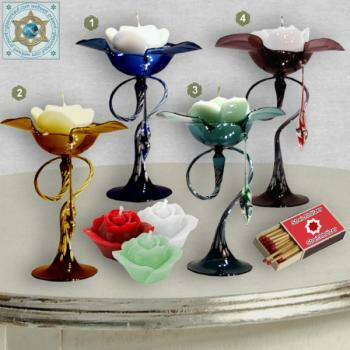 The unikate pattern is created by the melted colored glass granules in the stand. 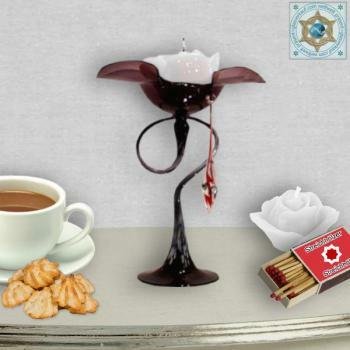 The glass bowl is on an elaborately curved glass foot placed and with a glass drops adorned. 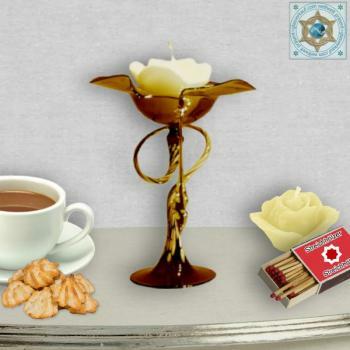 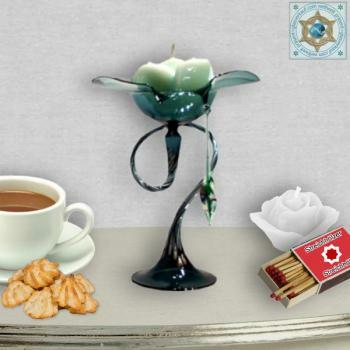 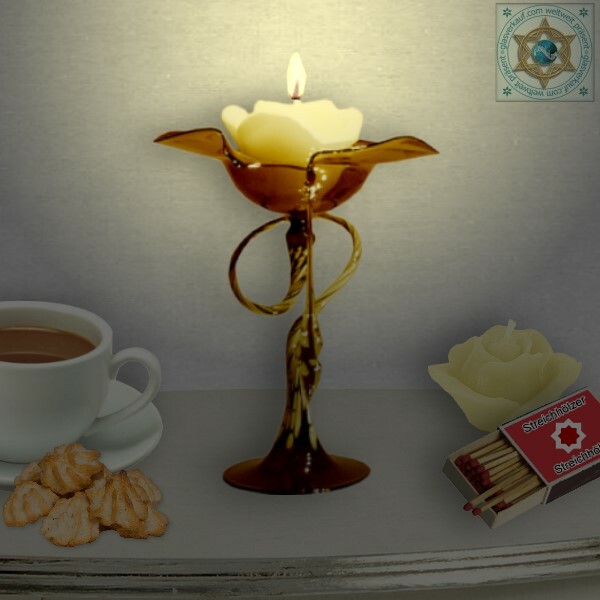 As illuminant serves a rose candle. 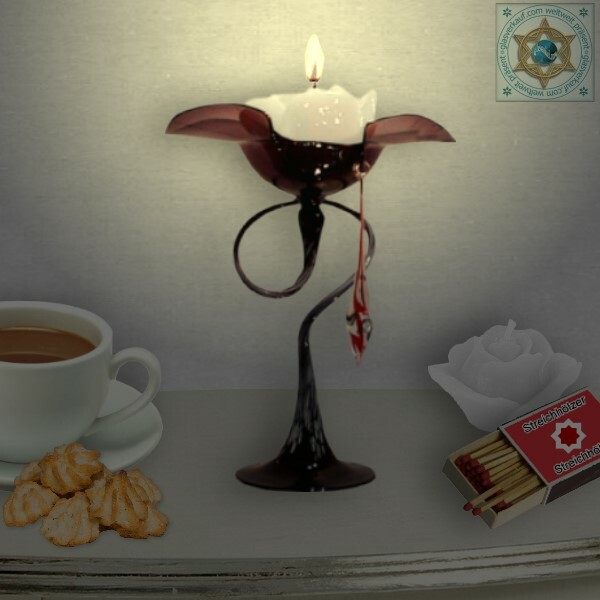 For the rose candle is a mount incorporated at the end of the glass foot. The unikate pattern in the glass foot is by melted white glass granules formed. Please refer to the enclosed product and the manufacturer's safety!